April is the Oral Cancer Awareness month and All Family Dental Care would like to invite you to join us in our national screening campaign to stop oral cancer. Awareness about US oral cancer is low. 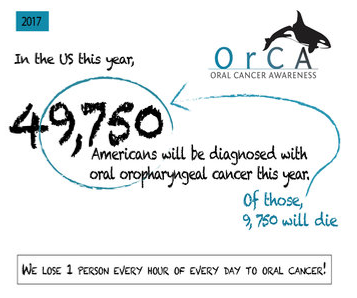 About 49,750 people in the United States this year will be diagnosed with oral cancer. 132 new people in the US will daily be diagnosed with oral cancer, and that one person every hour of the day will lose their lives because of oral cancer. Do not ignore unusual lumps or swellings or red and white spots in your mouth.Early detection could save your life. If you notice changes in your mouth, contact your dentist or doctor immediately. This year, we want everyone to help us by participating in the Oral Cancer Awareness Month. Whether you are alone or in a team, we have many ways you can be part of the awareness and really make a big difference. To learn more about screenings and early detection of oral cancer, contact All Family Dental Care in Everett today.